Wooden Car With Road Tape is a sweet little push along car with a very clever changeable road system. This car comes with an 8 metre roll of 5cm wide tape which can be stuck down on a clean surface and then peeled back off and placed back onto the roll. 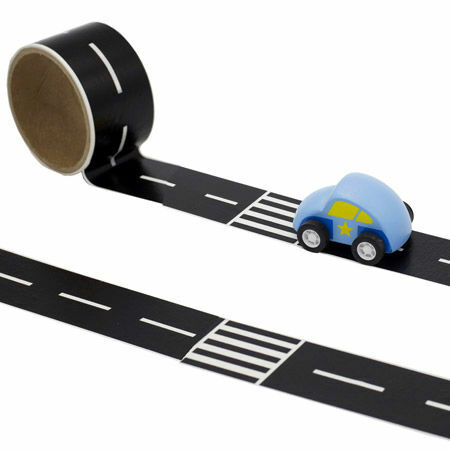 The tape allows your little one to build roads, pull them up, change them and create all sorts of fun. We like this because: "Wonderful creative toy."